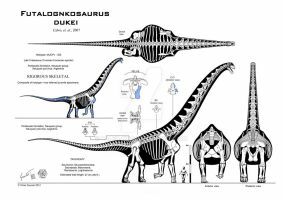 Another gigantic sauropod was Futalognkosaurus dukei, like puertasaurus it was a lognkosaur, a subfamily of the titanosaurids with huge bodys and long necks. 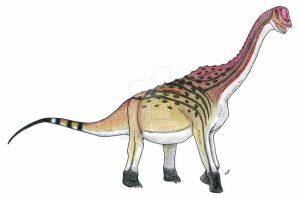 Futalognkosaurus dukei was 30-35 metres long, was heavily built and was a peaceful plant eater like all titanosaurids. 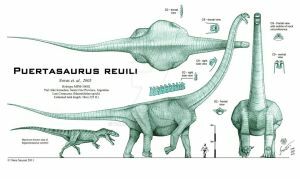 Due to its huge appearence, it had to fear nearly nothing, even big theropods avoided such giants mostly and only attacked them when they hunted in packs or when they were very hungry. 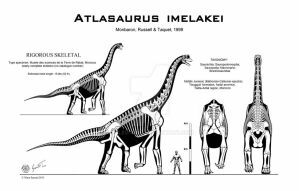 Futalognkosaurus was also one of the heaviest dinosaurs, weighing possibly up to 90 tons. 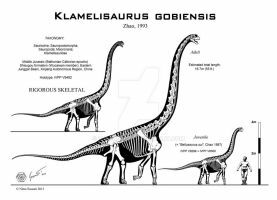 It lived in Patagonia the so called land of giants during the cretaceous. 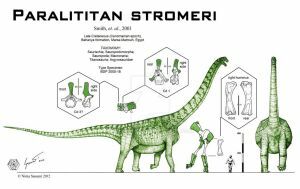 Very interesting.... but Argentinosaurus wasn't a lognkosaur. 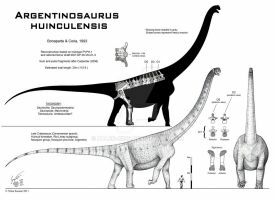 Puertasaurus and Futalognkosaurus were, but Argentinosaurus was a far more primitive titanosaur from a different family. 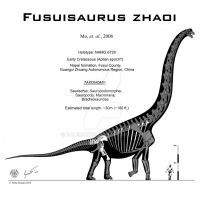 oh right, i mistook that because he is also a giant like puertasaurus and futalognkosaurus. 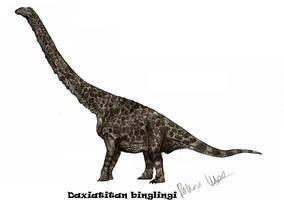 ì love it, he's very nice!